With the start of the Tribeca Film Festival, indieWIRE is again spotlighting emerging (and some veteran) filmmakers screening new work at this year’s event. iW will wrap its preview of this year’s filmmakers with over two dozen interviews. Thursday’s new director interviews include profiles from Kivu Ruhorahoza’s “Grey Matter” (World Narrative Competition), Steven Schardt and Sean Nelson’s “Treatment” (Viewpoints) and Lee Hirsch’s “The Bully Project” (World Documentary Competition). “Grey Matter” by Kivu Ruhorahoza is centered on Balthazar is a young African filmmaker on the brink of directing his first project, “The Cycle of the Cockroach,” a fictional story about a young woman who survived unspeakable atrocities only to find herself committed to the same mental institution as a man driven insane by the crimes he perpetrated during the war. Potential funders for the film insist the themes are too bleak and pessimistic—they encourage Balthazar to make a “message” film that raises awareness about gender-based violence or HIV/AIDS instead. But he refuses to give up. Instead of telling his production team the news, Balthazar continues preparations for the film without financing or equipment. After rehearsing a scene with each of the characters, reality blurs and scenes from the script materialize… ” I wanted to show on screen that loss of sanity that so many of us in Rwanda have experienced,” Ruhorahoza told iW. 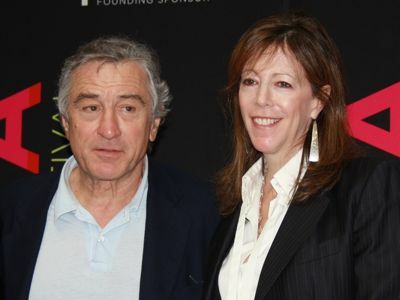 Here is the Tribeca Film Festival’s 2011 lineup.